This project was meaningful for two main reasons: First to give visibility to the archaeological remains; and second, to develop the tourism propositions of the central west region of Britanny. 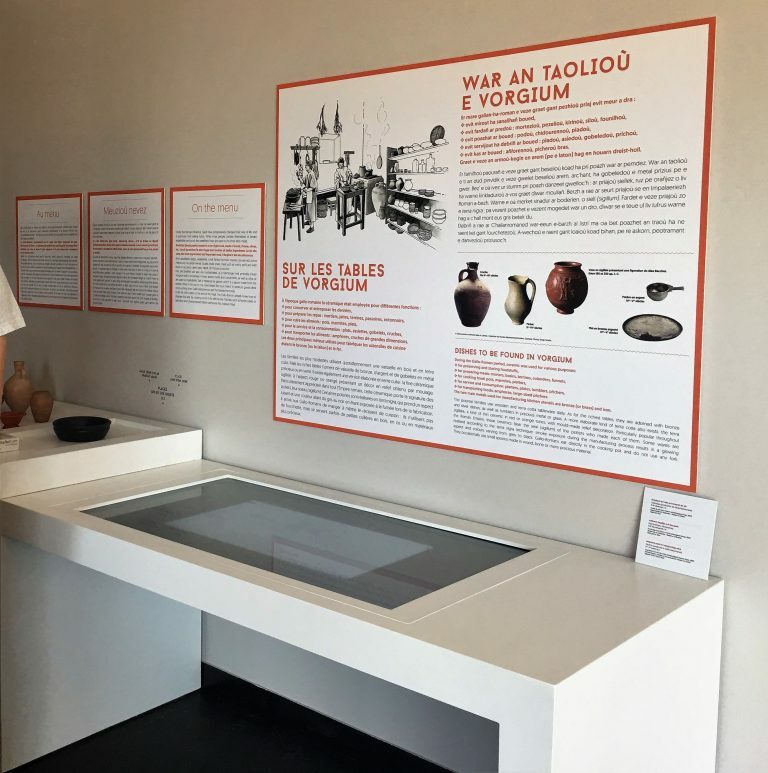 A partnership with the Virtual Archaeological Museum of Herculaneum, near the ancient city of Pompei and Naples, and with the goal of reinforcing the use of new technologies within this collaboration between the Vorgium site in France and the Herculaneum located in Italy. This partnership with an internationally famous site such as this one will be advantageous for the future notoriety of the Carhaix site. 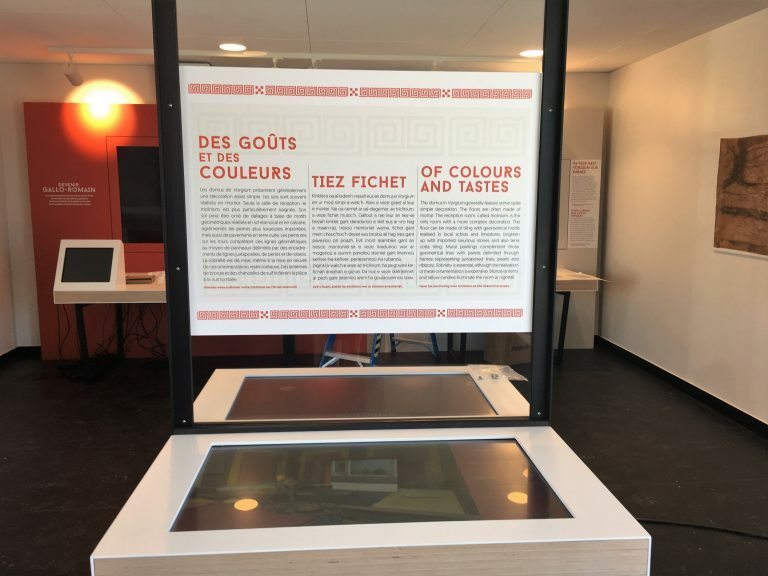 The interpretation center covers an area of 200 m2, offering visitors 9 scenographic devices, developing the sites Gallo-Roman past. The site will include augmented reality, holograms, digital tablets and large touch screens. These elements serve as complements to the visitor during this interactive exploration. The goal is to experience and immersive visit, whereas the past and the present become one. We can guide you on your international project, do not hesitate to contact us!